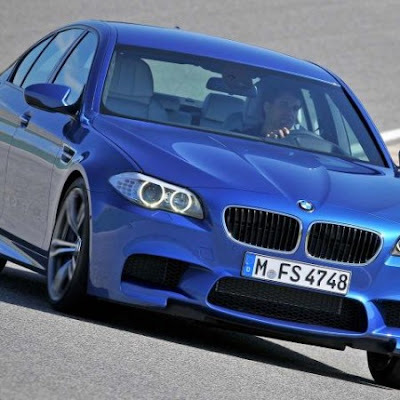 Today we are going to show you a short test drive of the all new BMW M5(f10). The Bavarian beast is tested by automotive 'specialists' from Fifth Gear. The F10 generation of M5 came on the market recently and it grabbed the attention of the automotive world. The new M5 uses the S63 biturbo 4.4 Litre V8 with twin scroll turbocharging technology that is found in the BMW X5 M and X6 M, and the version in the M5 is expected to have an output of 560 hp (418 kW) and 502 ft·lb (681 N·m) of torque.